The word ‘worldly’ gets thrown around all too frequently. A 20-something takes an organised bus trip down the east coast of the US, and just like that they consider themselves to be worldly. They add the earth emoji to their Instagram bio and start quoting Mark Twain. Then there is the CEO of Heritage Brands. Constantine Gendis – a man who lived in Africa for 10 years, Asia for 7, and the UK and Europe for 6. He did so working for British household company PZ Cussons. Constantine returned home to Australia in 2012 – 27 years after starting out with PZ Cussons – with the mandate to improve the profitability of the company’s Australian arm. After turning to brands with strong provenance stories, like Rafferty’s Garden and five:am, he did just that. 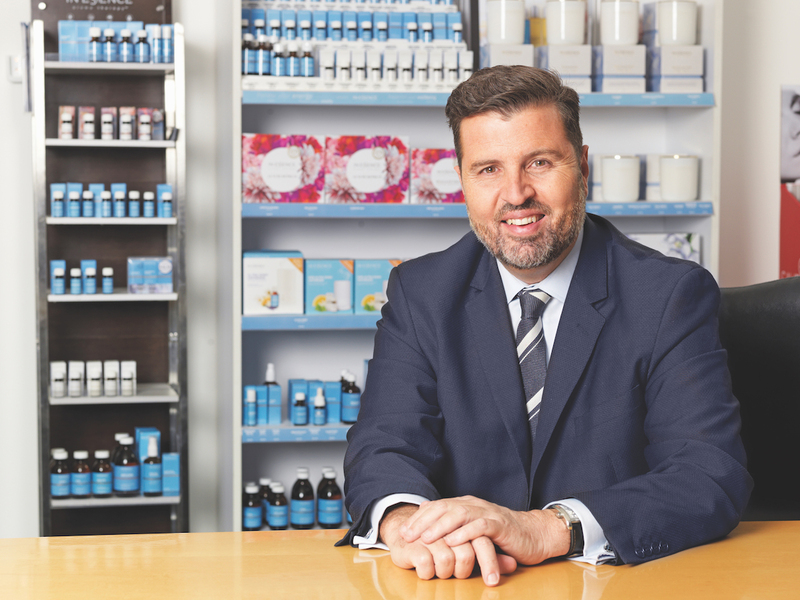 He was expected to return to the PZ Cussons head office in the UK; however, Constantine couldn’t walk away from the boundless potential he saw within the Australian cosmetics industry. “I came to a realisation that the world was changing, and all the legislation and everything that Australian business had been through actually gave an air of security and promise to people overseas,” he explains. “There was this sustainable provenance and equity that was going to become more and more important globally. I could see a time when, rather than Australia just being a profit centre for global companies, it could actually start to dominate the retail space again, not only locally but internationally, if we played to what we do well. I could see a time when, rather than Australia just being a profit centre for global companies, it could actually start to dominate the retail space again.